Lightweight, durable, comfortable, original, extremely versatile, using cardboard as a material can help make your ideal furniture come true. Bedside table inspired by furniture I saw on my last trip to the French Alps. Top drawer for reading glasses and book. Bottom door opens on its side with brass hinges suitable for books, magazines or PJs. Has been load tested for 60kg but can take more. 9 DRAWERS - "Vieille France"
Perfect to store anything from crafts to office furniture to jewellery. 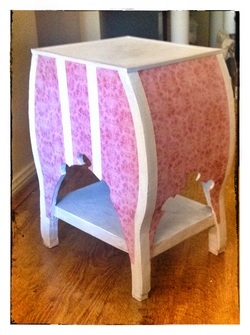 Pink and white reading table. 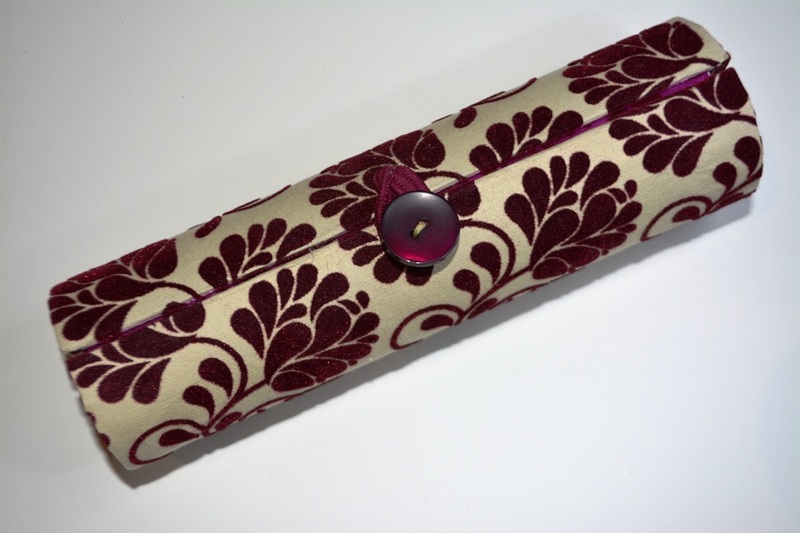 Perfect as a bedside table or beside the sofa to put a lamp, some books and your reading glasses or your cup of tea! Strong enough to hold an adult . Extra strong thanks to its internal cardboard structure. 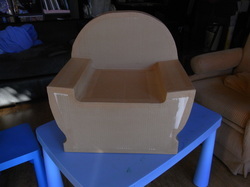 A blank canvas for your kid to draw or paint on as he/she wishes! 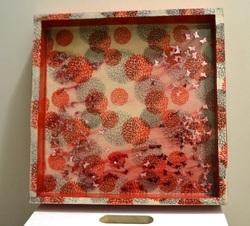 Decoration made out of paper, card or cardboard, using the different textures cardboard has to offer. Acrylic paint and varnish for finish. 2 wall hanging hooks on back. 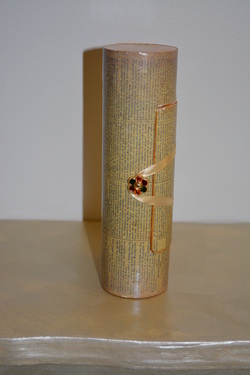 Made from very hard cardboard with recycled gift paper wrapping Paris themed. 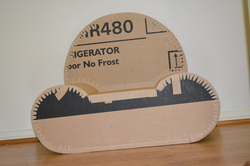 Made from recycled single layer peeled corrugated cardboard, new micro-corrugated card, painted and varnished. 2 or 3 small drawers with felt bottom. ALL BOXES, JEWELLERY AND FURNITURE ARE ONE OF A KIND. IF THE ONE YOU LIKE IS GONE, CONTACT ME AND I MIGHT BE ABLE TO MAKE ONE NEARLY SIMILAR OR ONE THAT SUITS YOU EVEN BETTER. To order the furniture you have always dreamed of just fill in the form on the contact page or drop me an email or call me (see contact me page). We can decide shape, dimensions, finishes and then agree on time frame, price and transport. 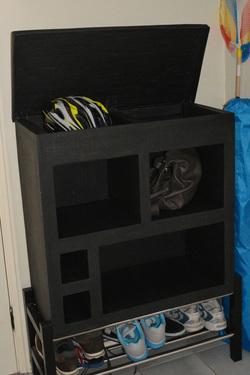 This bedside table/shelf is only an example to demonstrate how versatile cardboard can be. 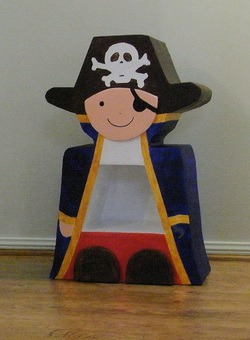 If one of your child or grandchild has a specific need for a shelf, a seat, or a table and a favourite theme, I can adapt the shape of the piece of furniture to suit! Send me an email or call me and I can discuss your needs and send you a sketch and a quote.